Annex Baseball Bat .... Hard Maple Makes It "Just Right?" Your Bat Choice Should Be "Just Right"
Annex Baseball Bat will provide you much pleasure for hitting ---- because the selection of the best hard maple wood is carefully cut trimmed shaped and turned until the premium maple wood becomes the quality you deserve from your Annex Bat. Like the wooden toys of Christmas they suddenly come alive with glistening polished sheen all looking for you as their new owner. Your son or daughter will take pride in using it well and becoming a local legend as a baseball hitter. The game of baseball history is fascinating: You have heard the phrase, "What goes around comes around." Baseball has proven this point by bringing back the use of the wood bat replacing the aluminum johnny come lately bats. 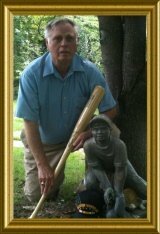 Once beginning of baseball the wood bat was the one and only exclusive battle stick available. Then up jumps the aluminum bat almost exclusively for Little League, high school and college use. This aluminum bat era has almost ran its course and now it is back to the tried and true use of the wood bat once again. So you see what goes around comes around we had wood bats then we almost did not have wood bats but folks the wood bat is back. 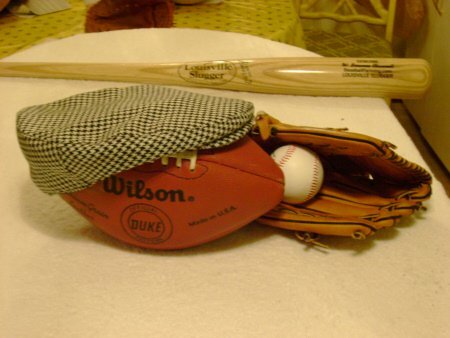 Baseball history - history and baseball they go together like bees and honey or jam and bread. Baseball's Triple Crown 2012...A Sure MVP? Batting Average, Home Runs and Runs Batted in (RBI). Players who reach the glory and accomplishment to be a Triple Crown winner, are simply in a league of their own and will never be forgotten. If you are able to witness it in your lifetime it would be a rare and exciting moment if you are a baseball fan. To put into perspective how long it has been the last time this achievement has happened, gas was only 33 cents a gallon and we hadn't landed on the moon yet. The year was 1967 and accomplished by Carl Yastrzemski. The Triple Crown is so rare in today's game, due to the fact that a player must be able to hit for power and average, while driving in runs. It has been 45 years since we have had a player lead in all three categories. Year 2012 Miguel Cabrera of the Detroit Tigers is so close it will come down to the last game of the season to possibly achieve this greatness. We will see by the end of tonight if he will reach the record books. Tonight could also bring that he leads in only one category, that's how close it is. The boys over at Annex Baseball Bat are producing a hard maple wood bat coming on like gang busters providing bats which "Are Just Right." When you need and want a wood bat it will soon be, I want my "maple wood Annex Bat." When two brothers decide that their lifes work is the making and marketing of some of the finest bats available in the market place it is natural that the brothers become annex baseball bat co-owners. We at Annex Baseball Bats take great pride in our Company and our community. Our Mission is to provide exemplary customer service, and exceptional baseball products at an affordable price. Annex baseball bats are created from the finest sugar maple billets in North America and are proudly made in the U.S.A. We offer the most popular wood bat models for a flat out low price. Annex wood bats are cut from premium maple wood, the same wood Big Leaguer's use in the game today. Our maple bats are available in youth and adult sizes. So why choose an Annex maple wood bat? We have simply found a way to get the highest quality wood baseball bat, that is second to no one. In your hands for an amazing price and Free Shipping on every Annex wood baseball bat. If you are new to wood bats please check out our wooden bat guide. There you will be able to decide on the right Annex Wood Bat for you, or if you are buying a maple bat for a youth or adult player. Shop our online store, a safe, secure environment to browse and purchase your favorite baseball gear. Get your Official Annex Wood Bat Today! Wood of many ilks of oak to hickory to ash and then aluminum to titanium to many exotic metals and now it is back to wood but this time because of the record setting antics of Barry Bonds the King of baseball home runs with the Maple Bat it is now a world of Maple. Knock it out of the park with any bat but for you to always have that sweet feel crack and pop provided with an Annex Baseball Bat is the stuff of which dreams are made. "Thinker I Am Lke You I'm Thinking Even Though These Bash Brothers Are Young And Have A Relative Young Production Company Their Annex Baseball Bat Will One Day Be Alive And Well In Ballparks Around The Country." When That Happens Then Baseball Players All Over The World Will Then With Real Pride Say,"My Annex Baseball Bat Is Just Right." Honus Wagner - The Most Expensive Baseball Card Ever! Annex Model X10 is our newest addition! This bat is designed for the power hitter and has a monster barrel. Add this club to your game to pound some distance into the ball. Share our information and Forward to a friend, and help spread the word about Annex! baseballfarming recommends.